3-room apartment 70 m2 on 2 levels, on the upper ground floor. Fully renovated in 2017, beautiful and modern furnishings: entrance hall. Large living/dining room with 1 sofabed, dining table and satellite TV (flat screen). Open kitchen (oven, dishwasher, 4 ceramic glass hob hotplates, microwave, freezer, electric coffee machine). Upper floor: (spiral staircase) walk-through room with 1 double sofabed and satellite TV (flat screen). Exit to the balcony. 1 room with 1 sofabed and 1 double bed. Shower/WC. Balcony. Balcony furniture. Very beautiful view of the mountains and the countryside. Facilities: baby cot, hair dryer. Internet (WiFi, free). Please note: non-smokers only. The host provides a top high-tech equipment in the living room: Smart-TV, Blu-Ray-Player and Playstation. 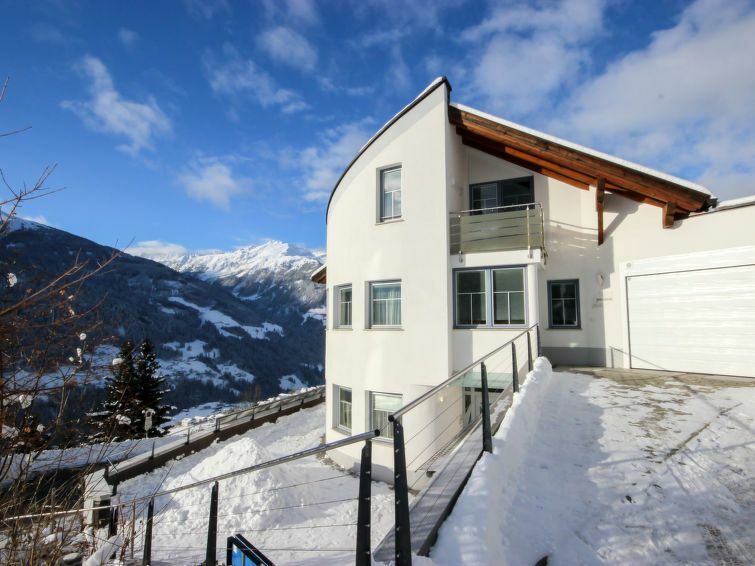 Fließ 8 km from Landeck: Modern single-family house Jenewein, 1'200 m a.s.l.. In a quiet, sunny position on a slope. For shared use: table tennis, patio. In the house: WiFi, storage room for bicycles, central heating system, ski boot dryer. Storeroom available. In Winter: please take snow chains. Parking (limited number of spaces) at the house, public parking on the road. Grocery 1 km, restaurant 1 km, bus stop 1 km, outdoor swimming pool 2 km, natural swimming pond 2 km. Golf course 20 km, tennis 2 km, sports centre 2 km, gondola lift 4 km, ski rental 1 km, ski bus stop 300 m, cross country ski track 4 km, children's playground 2 km. Nearby attractions: Naturparkhaus Kaunergrat 4 km. Well-known ski regions can easily be reached: Venet 4 km, Serfaus-Fiss-Ladis 17 km, Kaunertaler Gletscher 40 km. Hiking paths: Naturpark Kaunertal 4 km. Free ski bus service to the ski region Venet. Tirol-West-Card included http://www.tirolwest.at/home.html. Wir haben unsere Woche in Fließ sehr genossen. Freundlichere und engagiertere Gastgeber als Familie Jenewein kann man sich nicht wünschen. Wir wurden mit vielen Tipps versorgt und haben uns gleich willkommen gefühlt. Die Wohnung ist einfach toll, gut ausgestattet und tip-top sauber. Diese Wohnung hat alles was man benötigt, top ausgestattet, neu und komfortabel! Außerdem sind die Gastgeber super nett....... wir wurden wie Freunde empfangen!!! Infos zur Umgebung ect. wurden uns sofort mitgeteilt und in Form von Kopien überreicht. Da wir keine Skifahrer sind, hat man uns sogar Schlitten und Schneeschuhe zur Verfügung gestellt. Die anliegende Garage war top um feuchte Kleidung und Winterausrüstung zu trocknen bzw. zu lagern! Hier wir an alles gedacht!